Melasma is one of the hardest skin issues to treat. The reason is that there is a multifactorial cause for melasma ranging from estrogen, environmental pollutants, UV exposure and even visible light exposure. Sunscreen is imperative to wear. The most important aspect of melasma when trying to treat with lasers is to not induce post inflammatory hyperpigmentation. Probably the best treatment to date is Picosure Focus lens and it typically takes around 5 treatments. 3 for Me is a combination treatment which utilizes Palomar IPL for pigment and broken capillaries and a fractional non-ablative laser (1540) to target wrinkles. 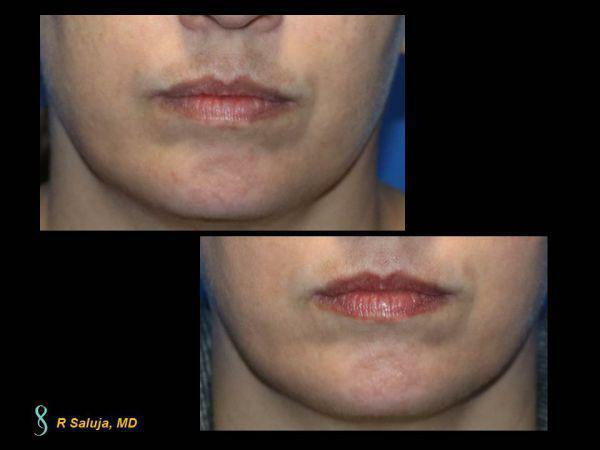 This is 1-month post a 3 for Me procedure and reduction of vessels on the chin and minimizing of melasma (the pigmentation above the lip) is seen in this Huntersville, North Carolina female. 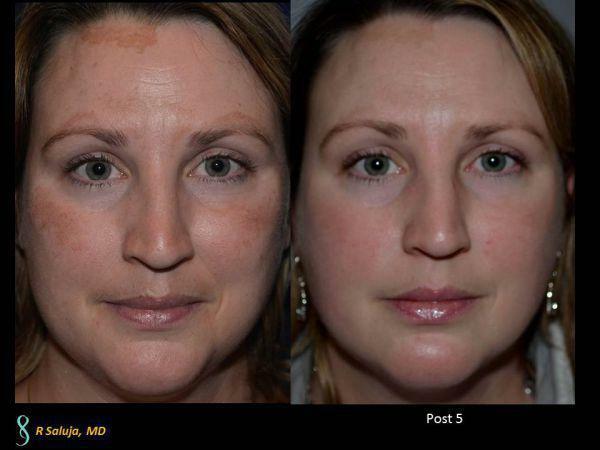 Melasma is one of the toughest skin ailments to treat. We either recommend no treatment or a trial of the Picosure Focus Lens. 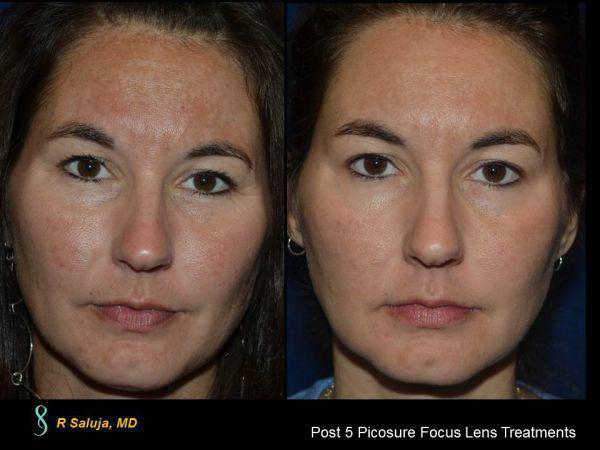 This Charlotte, North Carolina female enrolled in a study for Picosure focus lens for melasma. This is status post 5 treatments with the Focus Lens.